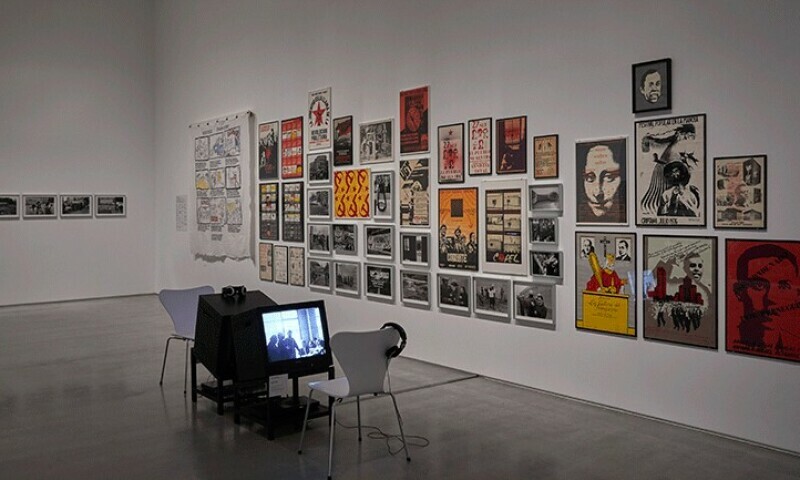 Exhibition view, The Poetics of Democracy. Images and Counter-Images from the Spanish Transition, 2018. Reina Sofía’s Department of Collections, the objective being to vindicate the artistic experiences excluded from the institutional discourses of the history of Spanish art of the 1970s. This change of perspective has given rise to new narratives and to the incorporation of new material into the Spanish cultural heritage that, combined with a recovery of the political element so instrumental to the Spain of those years, permits the evocation of events in which different artists (and the supports and media they used) left their studios, shared in a community, and took their work beyond objectuality.